One of the most frequently asked questions when people visit the Log Cabin Memorial is, "Where is that dog, Pat?". Pat was the name of the dog who was the mascot of the 314th Infantry from 1918 to his death in Sunbury, Pennsylvania in 1932. After his death, Pat was taken to a taxidermist and then delivered to the Log Cabin at Valley Forge. A few years ago, he was again delivered to a taxidermist in the area for refreshing, after over 60 years in the museum. Pat has returned and continues to reside with the rest of the 314th items and plaque. Pat was found by the men of Company "M" after an attack on the Germans. The Germans apparently had abandoned the dog as they retreated. As the story goes, he was taken back to Company "M" but he just continued to refuse to make friends with any of them. He glowered at them, snapped and showed his teeth. They tried to win him over by kindness but when that didn't work they resorted to harshness and even beatings, but nothing seemed to work. Finally one of the members of the Regiment who spoke German asked whether he might try his hand with him. The soldier said a few words to Pat in German and the dog instantly obeyed. The soldier even taught him the German manual of arms. They took him out at guard mount and he performed as a regular soldier. By that time he was the idol of the Regiment. He lived on the cream of the land. He dined on pork chops and chicken from the Officer's Mess. The enlisted men were often tempted to cry foul. When the time came to go home, orders went out that no pets were to be taken back to the United States. The Company laid plans to get Pat out of France by any and all means. One of the Officers smuggled Pat on board the Princess Matoika and their plan seemed on the way to success. For a time the Red Cross girls stole Pat away, but the Company got him back. 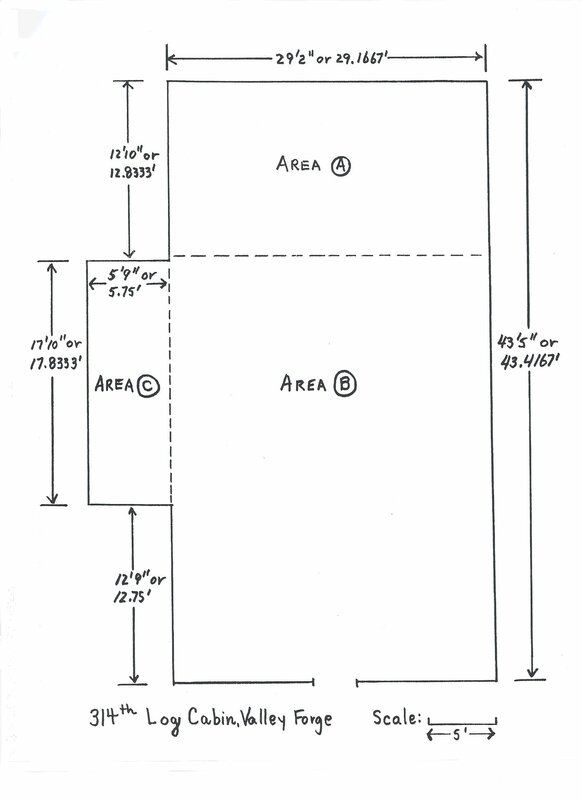 Pat was also imprisoned for a time in the Guard House. Later he had his own suite in a Philadelphia hotel, and finally he broke the Pennsylvania Railroad's rule against pets riding in their coaches and arrived aboard the Day Coach to Sunbury. His comrades never forgot him and he always had a friendly greeting for them at the Reunions he attended. He had learned to respond to English as well as German and answered questions by wagging the stub of his tail. He learned many tricks, such as jumping through a hoop and shaking hands. When the Star Spangled Banner was played, he would respond with a wag of his tail. While in Sunbury, Pat stayed with his pal, John Stroh of Company "M" for a number of years until John was forced to move to Belvidere, New Jersey, for his health. By that time, Pat had developed a strong fondness for Mr. Stroh.s landlady in Sunbury, Mrs. Leo Finch, so he remained with her. Thus, after the roar of the battle was over and he was safely settled down in Sunbury, Pennsylvania, Pat continued a quiet and well ordered life of ease and retirement, the likes of which many a wounded veteran might envy. Found and adopted at La Soye, Belgium, where part of Company was stationed, on Decmber 1, 1918. Promoted to rank of Mascot and remained with Company until mustered out May 30, 1919.
until his death July 13, 1932. By: Veterans of Company "M"
314th Infantry, A. E. F.
Pat, mascot of the 314th Regiment, dies at ripe old age. 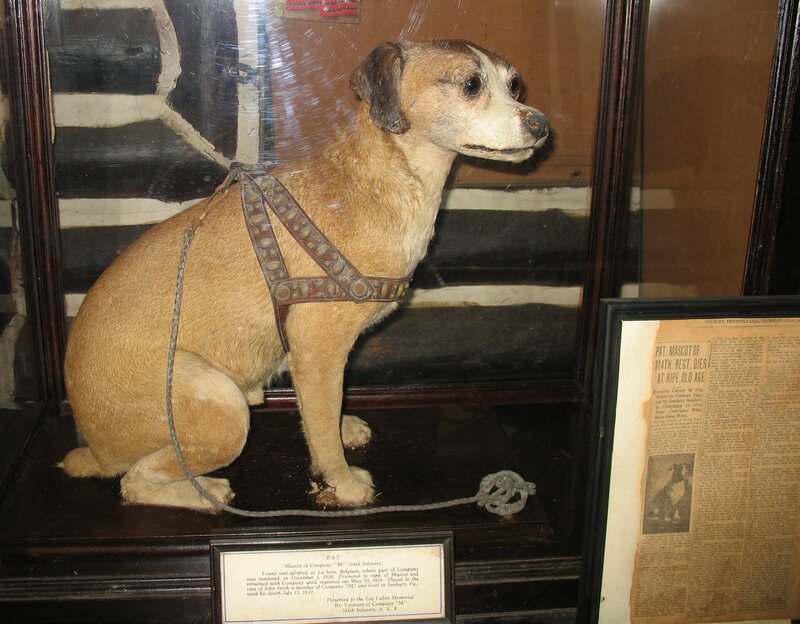 Eventful career of dog found in German dugout by Sunbury soldiers in Campaign 1918. Joins comrades who have gone West. Pat, dog veteran of World War service with both German and American Armies, and the famous mascot of the 314th Infantry, 79th Division, died at the home of Mrs. Leo Finch, 203 S. 4th Street last night after a month's illness. He was about 17 years old. When he was taken sick in July, an old wound in the left leg received when he was with the German army began to bother him and he lost the use of it. Neighbors suggested to Mrs. Finch that he be chloroformed. "They didn't chloroform wounded soldiers, she said. They'll not chloroform Pat either." His owners John Stroh, veteran of the 314th and now residing in Belvidere, New Jersey, was coming up to Sunbury today to see the remains Of his old comrade. The body was sent at Noon to Williamsport to a taxidermist to be mooted and permanently preserved. The 314th has a Log Cabin at Valley Forge which is a regimental shrine and in which are preserved many relics of regimental service. Pat will be taken there and we thus be preserved for the memory of his soldier friends as long as they live. Pat first saw Sunbury on May 30, 1919, from the doorway of a Pennsylvania Railroad luggage car, while his owners John Stroh, member of Company "M., held him. There were other Sunbury soldiers on the train enroute home from France and people were at the station to meet them. There they got their first glimpse of Pat. Mr. Stroh took him to the home of Mrs. Finch, where he lived, and soon the dog struck up a friendship with his new mistress which lasted for more than 13 years. Mrs. Finch felt his death as keenly as though he were a member of the family. Pat was found by men of Company .M" alter an attack on the Germans, abandoned by his former owners in a billet when they retreated. He was taken back to the Company but refused to make friends with any of them, glowered at them, snapped and showed his teeth. They tried to win him by kindness, then to subdue by harshness and beatings but could do nothing until one of the men who could talk German suggested that he see what he could do with the dog. He tried a few words in German. The dog instantly responded He gave orders which the dog obeyed. He put him through the German manual of arms. They took him out at guard mount and he performed like a regular soldier. By that time he was the idol of the Regiment. One of his warmest friends was Corporal Patrick O'Donnell who aaid, "We don't know your old name, but your new name is going to be Patrick." Nobody objected, but they condensed it to Pat and Pat it remained to the end of his life. Not only the men but the officers took a violent fancy to Pat. He lived on the cream of the land. He dined on pork chops and chicken from the officer.s mess, while the men had to be content with alum and many a time were tempted to steal Pat's meal Mom him. When the time came to go home and the orders went forth that no pets were to be taken back, the Company held a council of war and laid deep plans to get Pat first out of Belgium and then out of France. Lt. Maine of the Company, now deceased, the first man to embark on board ship for home, smuggled Pat on board with him. Once on board they had no further difficulty until they reached New York. His master had only a rope to hold him when the soldiers left the ship and swarmed the wharf where thousands of persons were massed to greet them. A group of Red Cross girls tore the rope, stole Pat, and got away with him. Captain Nicholson, Philadelphia, Commanding Officer of the Company, heard of it, summoned a detail from his command and gave the orders, "Get him back by fair means or foul, but get him back.. The detail went out but although the task seemed hopeless, they did locate the fair thieves and none too gently deprived them of the dog. Next the Company took him to Camp Dix where the outfit was to be discharged. Word came to comrade Stroh and his friends that another company was conspiring to steal Pat when they left. The Captain ordered one of the soldiers to the guard house and Pat with him and there both stayed until the danger was past. Next they went to Philadelphia and to save him from theft there got a hotel room and kept him locked up until they started for Sunbury. All went well until they reached Harrisburg where the Sunbury railroad cars left for home. They had Pat in a day coach ... (blurred). Railroad man said "That dog can't ride in this train". "He's going to just the same., said the soldiers. "You'll have to get rid of him". Stroh flared up and said, "You stayed home in this man's war and got the cream. Now I'm telling you this dog is going home with me!" Railroad rules were relaxed sufficiently to permit Pat to ride in the baggage car but his master had to go with him. Thus it was when the train rolled into Sunbury on Memorial Day, Pat looked out and for the first time saw the town of his adopted country where he was to spend the rest of his eventful life. His comrades never forgot him and he always had a friendly greeting for them. His picture was the favor placed at the plate of each comrade at the last reunion of the 314th at the Masonic Temple here. He learned to know English as well as German and answered questions by wagging the stub of his tail. He knew many tricks, would jump through a hoop, sit up, and shake hands with either paw as desired. He climbed stairs and when the Star Spangled Banner was played somebody said .Wave the abbreviation, Pat" and he would respond with a wig wag of the stump of his tail. When his first German comrades abandoned Pat in the billet, they left no pedigree and Pat's age and ancestry were thereafter in doubt. lie was not a Gentian Shepherd dog, commonly called a police dog, nor did he appear to be of any pure strain. 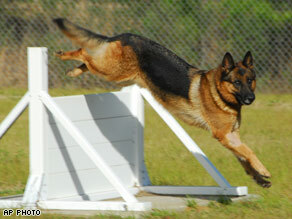 Like many of the most intelligent dogs such as animal shows carry with them, he was likely of mixed breed. He was broad of back, resembling a bull brindle and brown in color except his stomach which was whites and he had a beautiful head and big brown eyes from which always shone intelligence and affection. He was presented on one occasion with a dog blanket bearing a wound swipe and another stripe for overseas service. This blanket will always remain a prized possession of his owners. How old Pat was no one knows. He was fully developed when found and from his general appearance was believed to be about 3 years old when found. The Sunbury climate was unfavorable to a lung condition developed by Mr. Stroh, so he went to Belvidere where he is conducting pool room. The climate of that section, close to the Poconos, is more favorable. He did not take Pat with him and moreover the dog had developed a strong fondness for his mistress, Mrs. Finch, and she for him. Thus after the roar of battle was over and the 3,000 mile journey safely accomplished to Sunbury, he settled down to a quiet and well ordered life of ease and retirement such as many a wounded veteran might envy. His passing marks a milestone in the history of the regiment, the passing of one of its living contacts with its war service 14 years ago. The guest of honor at the annual reunion of the 314th Penn. Infantry September 24 will be a battle-scarred veteran named "Pat", a war dog who wears both chevrons and wounds as marks of his World War service. 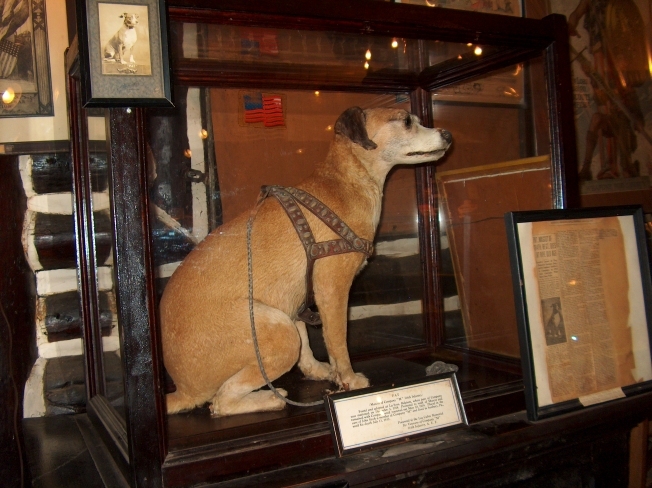 Pat, official mascot of the regiment, is of German origin and was originally a pet of one of the Kaiser's battalions, according to his history. Company M of the 314th acquired him the day after, the Armistice when they found him in a dugout near Virton, Belgium. He had been wounded in the hip and was adopted and nursed back to health and strength. When orders came to embark for the United States, officers ordered the dog left behind. However, he was smuggled aboard and kept under cover until the company reached home. That was thirteen years ago and every year since the dog has been honored by the regiment at its reunions. He is provided with a special harness, blanket, wound stripes and chevrons emblematic of his services. Pat won't attend many more reunions, for age is taking its toll. He has lost his sight and doesn't hear so well, but blind and deaf though he be, he will sit at the head of the table when the veterans banquet this month. "Pat", a stray dog that became friendly with several thousand men of the 314th Infantry Regiment in World War I, will never be forgotten. The pet, picked up by Reuben S. Kilpatrick, of 400 E. Eleventh Ave. Conshohocken, then a sergeant of the 314th, occupies a glasss enclosure built especially by his friends as part of the permanent exhibit in the 314th's Log Cabin at Valley Forge Park. The stray that became a mascot in December, 1918 and was jokingly named Pat after Pat O'Donnell, one of the group, died in 1932 at the home of John Stroh of Sunbury, Pa.
Sgt. Kilpatrick, who has served as president of Spring Mill Fire Co. for two decades and is in retirement after 45 years' service as an executive with an insurance firm in center city, and a group at his command had been sent to the village of LaSoye in Belgium to do guard duty on the roads leading into Luxembourg. It appears that the Germans had had the dog, as he obeyed commands in German given him by Leo Schell, a member of the group who was from Bally, Pa. Pat answered commands in German to lay down and sit up. A pal of all the men, Pat would sleep under the blankets with them. He followed them on hikes, sham battles, and drills. One of his favorite stunts was to go hopping over gun barrel after gun barrel when the men were given a short rest during drill. On one occasion, when returnign from a hike, Pat was set upon by several large dogs, accompanying a Frenchman with a horse and cart. This was near the men's billets and needless to say, they were not dismissed that day. They immediately broke ranks and went to Pat's rescue, letting fly with iron helmets, stones and whatever they could get their hands on. Pat was smuggled on board the ship Princess Matoika bringing the regiment home and entrusted to the care of John Stroh of Sunbury, one of the original group that found him. -- A U.S. military dog whose handler and best friend was killed in Iraq got a new assignment on Friday -- retirement with the late Marine's family. It took the family months of lobbying to get the adoption approved by the military. Lex was beside Cpl. Dustin Lee when Lee was killed in a mortar attack in Falluja. 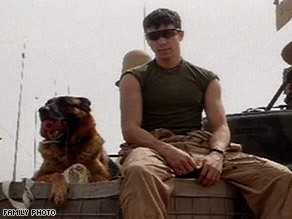 In spite of his injuries, the dog didn't want to leave Lee's side after the attack, according to the Marine's father. Other Marines reportedly had to pull the dog away from the young man's body so medics could reach him. Although some shrapnel remains in his body, Lex recovered from his wounds and returned to duty at the Marine Corps Logistics Base in Albany, Georgia. 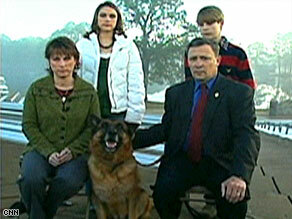 Friday, the 8-year-old bomb-sniffing German shepherd was turned over to Lee's family to live out the rest of his life in Quitman, Mississippi. "This is to certify that military working dog Lex, having served faithfully and honorably, was ischarged from the United States Marine Corps on this 21st day of December 2007," a Marine read at a ceremony interrupted by occasional barks. Afterward, Jerome Lee, Dustin Lee's father, crouched down and shook Lex's paw. Lex seemed oblivious to his 15 minutes of fame as he lay at the feet of a Marine during most of the ceremony. Jerome Lee had lobbied hard for months to adopt the dog. Marine officials initially told Lee that it would be no problem to get the dog. But persuading the service to give up Lex before the dog's mandatory retirement at age 10 proved to be a challenge. One issue was making sure the dog was not "overly aggressive." His behavior with the Lee youngsters -- Lex played tug of war with 13-year-old Camryn at his brother's funeral -- seemed to assure that wouldn't be a problem. Marine officials also said the request had to go through the Air Force, which is the approving authority for all military dogs. Finally, on December 13, the Marines agreed to let Lex go live with Lee's family. It was the first time the Marines have released a dog before its retirement to a former handler's family. "Lex has had two tours in Iraq," Jerome Lee said. "He's been through a lot, and we just want to get Lex home to our family and let him have a happy life." Well before joining the Marines, Dustin Lee was known for his devotion to his country. A member of Quitman High School's cross-country track team, Lee and three teammates participated in the Americans United: Flag Across America Run after the September 11, 2001, attacks. It was no surprise when the young man joined the Marines out of high school in 2004, nor when he went to Albany to train military police dogs. He reportedly was inspired by his mother's work with search and rescue team dogs when he was a boy. An animal lover who also rode horses, the boy played hide-and-seek with his mother's dog, Jerome Lee said. At the logistics base in Albany, Lee said, he "worked with all the dogs and became the kennel master." The Marine and Lex had been stationed in Falluja for nearly five months before the fatal attack. When the Marine's body was returned to Quitman in March, hundreds lined the streets waving American flags to say a tearful goodbye. And Lex was there. In Albany on Thursday, kennel master Mike Reynolds led Lex through his paces for the last time in his military career. But it's time for the old pro to learn some new tricks in civilian life. Jerome Lee said he hopes Lex's presence will make his other two children feel closer to their missing older brother. "There's always going to be that missing link with Dusty gone," he said. "But part of Dusty is here with Lex." Soldier's adopted dog finally leaves Iraq for U.S.
(CNN) -- An animal rescue group on Sunday picked up a U.S. soldier's adopted dog from Iraq, ending the soldier's weeks-long struggle to send the animal to her Minnesota home. Sgt. Gwen Beberg adopted Ratchet after soldiers rescued him from a burning pile of trash in May. Sgt. Gwen Beberg adopted Ratchet after soldiers rescued him from a burning pile of trash in May. Operation Baghdad Pups, which said the U.S. military prevented its first attempt to take Ratchet the dog on October 1, picked up the animal in Baghdad with military clearance and flew it to Kuwait on Sunday. 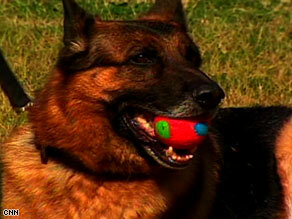 The dog is expected to be flown to Washington on Monday, and if a veterinarian determines it is healthy, sent to Sgt. Gwen Beberg's home state on Wednesday, Baghdad Pups publicist Larry Garrison said. Beberg, who adopted the dog after soldiers rescued it from a burning trash pile in May, tried to have the group fly Ratchet to the United States on October 1 as her deployment neared an end. But the military, which prohibits soldiers from adopting pets abroad and bringing them to the United States, confiscated the animal after Beberg put it on a convoy bound for Baghdad Airport, according to the Society for the Prevention of Cruelty to Animals, which runs OBP. Ratchet and Beberg, 28, drew the attention of thousands of people who signed two online petitions -- linked through the SPCA's Web site -- urging the military to let Ratchet go to the United States. The military cleared OBP to take Ratchet on Wednesday, but not in time for the group's flight from Baghdad that day, the SPCA said. On Sunday, private security contractors took Ratchet from a base to the airport, where OBP -- which works with soldiers to help them bring adopted animals home -- put Ratchet on the charter flight to Kuwait, Garrison said. Northwest Airlines will donate the flights from Kuwait to Minnesota, Garrison said. 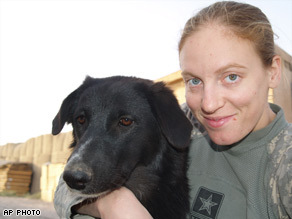 The SPCA said Ratchet helped Beberg deal with her Iraq deployment, which started in September 2007 and is scheduled to end in November. "She was absolutely miserable in the war and was really struggling to keep going every day. Ratchet turned it around for her," SPCA spokeswoman Stephanie Scroggs said last week. Beberg's mother, Patricia Beberg, in a statement released by the SPCA, said Ratchet "was the savior of her [daughter's] sanity" in Iraq. SPCA representatives said the military euthanizes some animals that it confiscates, and that Gwen Beberg worried that Ratchet would be killed. Beberg was thrilled to hear last week that the military would let OBP take Ratchet, the SPCA said. "Your persistence and amazing work has astonished me throughout this whole thing," Gwen Beberg said in an e-mail to the SPCA, according to the society. Scroggs said one of Beberg's friends helped spread the news about Ratchet through blogs. One of the petitions, which had more than 65,000 signatures as of Sunday night, was started by a blogger, Scroggs said. The SPCA says although active-duty soldiers aren't allowed to adopt animals in the Middle East, many soldiers befriend animals in the course of their service there. Garrison said the program relies on donations, saying it generally costs $3,000 to $4,000 to bring a servicemember's animal to the United States. "This isn't a one-time story This is a program making a difference for our soldiers," Garrison said.